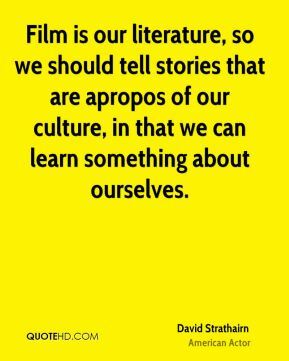 Film is our literature, so we should tell stories that are apropos of our culture, in that we can learn something about ourselves. 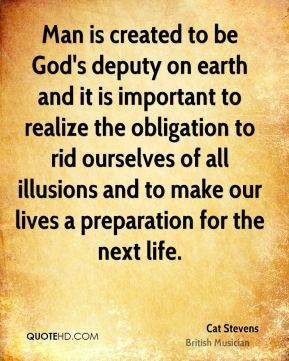 Man is created to be God's deputy on earth and it is important to realize the obligation to rid ourselves of all illusions and to make our lives a preparation for the next life. Music is a lady that I still love because she gives me the air that I breathe. We need all sorts of nourishment. 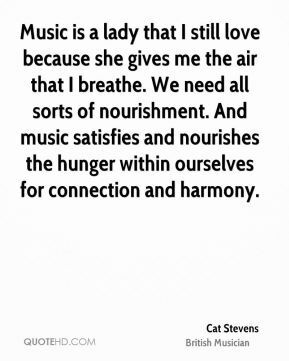 And music satisfies and nourishes the hunger within ourselves for connection and harmony. Basically, I was pretty ostracized in my hometown. 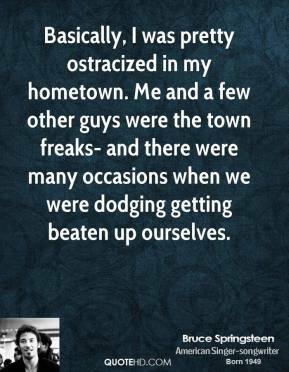 Me and a few other guys were the town freaks- and there were many occasions when we were dodging getting beaten up ourselves. Number three, we're going to play very smart and we're not going to beat ourselves. 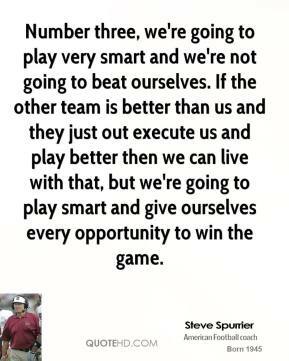 If the other team is better than us and they just out execute us and play better then we can live with that, but we're going to play smart and give ourselves every opportunity to win the game. 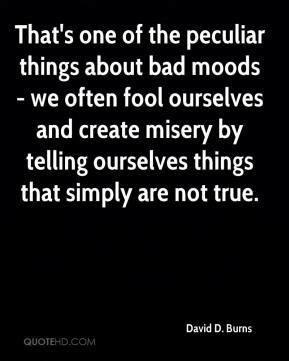 That's one of the peculiar things about bad moods - we often fool ourselves and create misery by telling ourselves things that simply are not true. 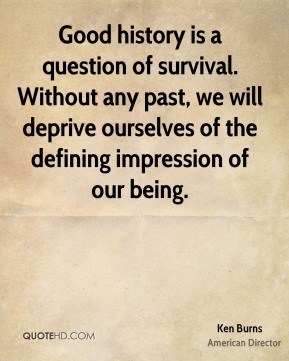 Good history is a question of survival. 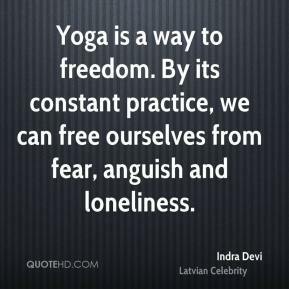 Without any past, we will deprive ourselves of the defining impression of our being. 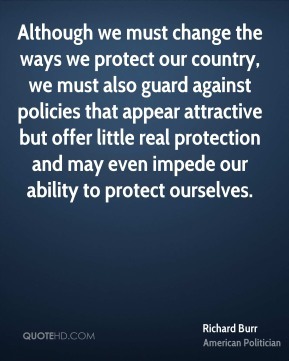 Although we must change the ways we protect our country, we must also guard against policies that appear attractive but offer little real protection and may even impede our ability to protect ourselves. 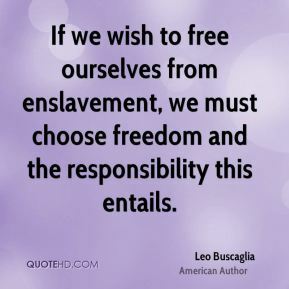 If we wish to free ourselves from enslavement, we must choose freedom and the responsibility this entails. 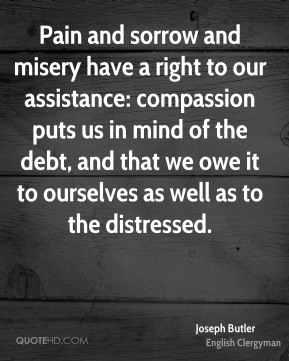 Pain and sorrow and misery have a right to our assistance: compassion puts us in mind of the debt, and that we owe it to ourselves as well as to the distressed. 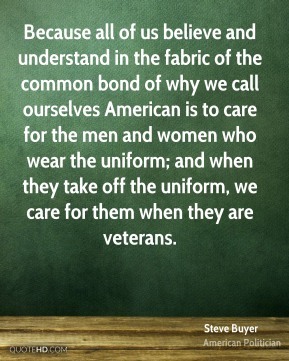 Because all of us believe and understand in the fabric of the common bond of why we call ourselves American is to care for the men and women who wear the uniform; and when they take off the uniform, we care for them when they are veterans. 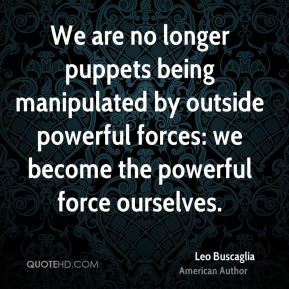 We are no longer puppets being manipulated by outside powerful forces: we become the powerful force ourselves. 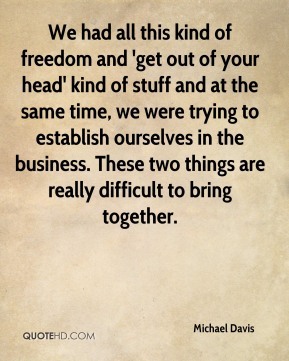 We had all this kind of freedom and 'get out of your head' kind of stuff and at the same time, we were trying to establish ourselves in the business. These two things are really difficult to bring together. 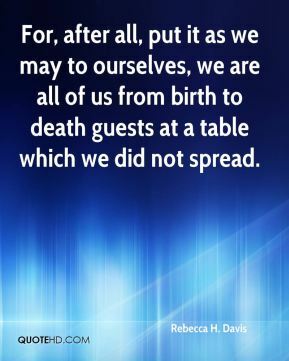 For, after all, put it as we may to ourselves, we are all of us from birth to death guests at a table which we did not spread. 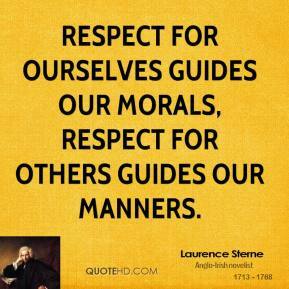 As for ourselves, yes, we must be meek, bear injustice, malice, rash judgment. 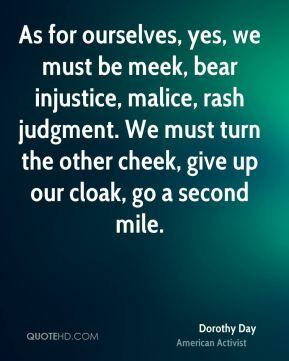 We must turn the other cheek, give up our cloak, go a second mile. 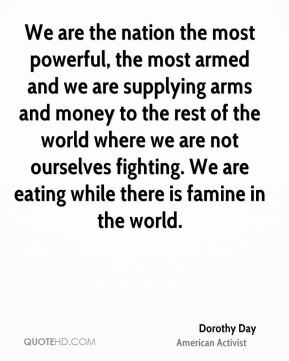 We are the nation the most powerful, the most armed and we are supplying arms and money to the rest of the world where we are not ourselves fighting. We are eating while there is famine in the world. 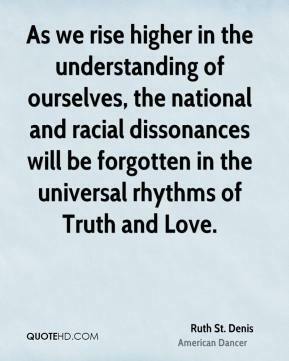 As we rise higher in the understanding of ourselves, the national and racial dissonances will be forgotten in the universal rhythms of Truth and Love. 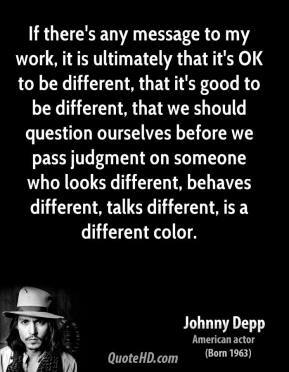 If there's any message to my work, it is ultimately that it's OK to be different, that it's good to be different, that we should question ourselves before we pass judgment on someone who looks different, behaves different, talks different, is a different color. 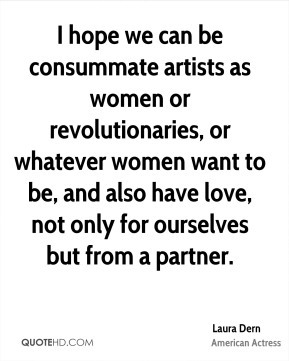 I hope we can be consummate artists as women or revolutionaries, or whatever women want to be, and also have love, not only for ourselves but from a partner. Everyone of us needs to show how much we care for each other and, in the process, care for ourselves. 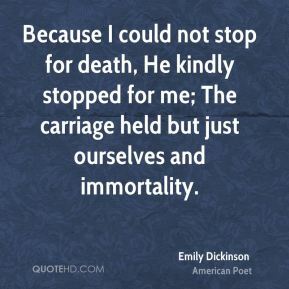 Because I could not stop for death, He kindly stopped for me; The carriage held but just ourselves and immortality. 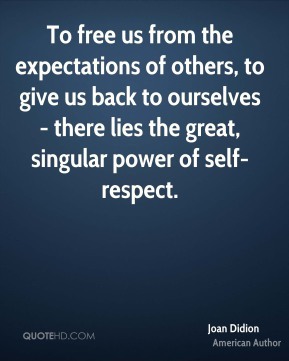 To free us from the expectations of others, to give us back to ourselves - there lies the great, singular power of self-respect. Love, with very young people, is a heartless business. 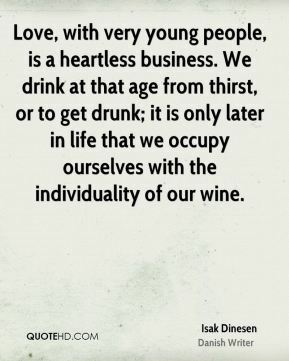 We drink at that age from thirst, or to get drunk; it is only later in life that we occupy ourselves with the individuality of our wine.